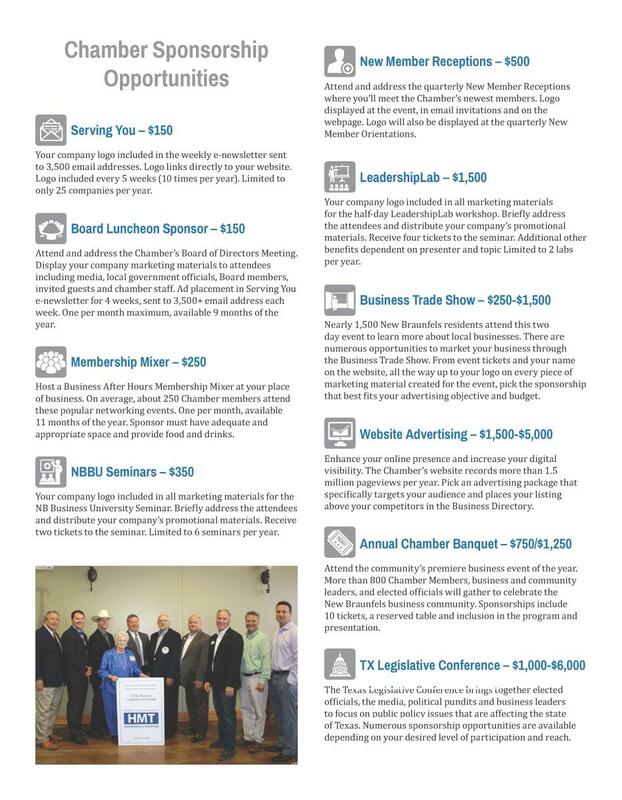 The Chamber offers numerous opportunities to enhance your business visibility through target marketing, event showcases and an improved internet presence. 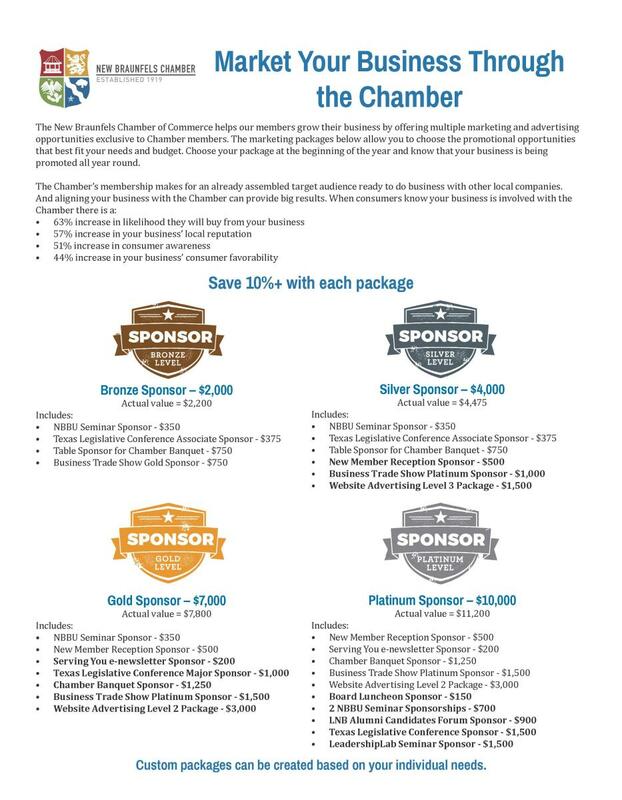 The following sponsorships are available. Please fill out the form at the bottom of the page if you would like to become a sponsor.